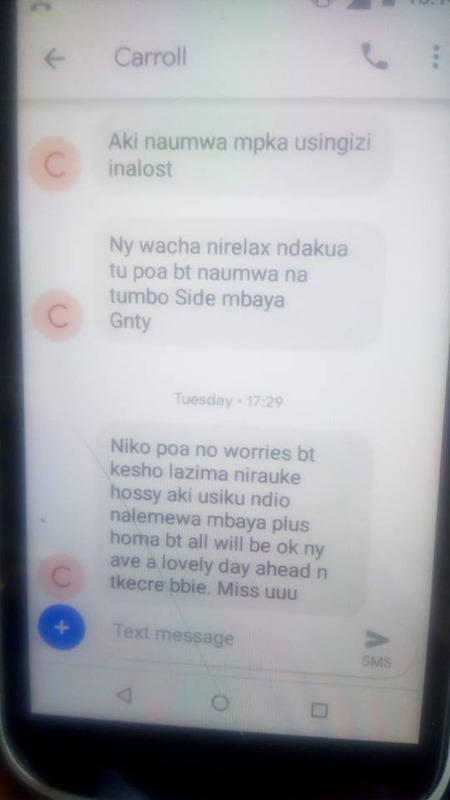 Home / News / SHOCK as police reveal romantic texts CAROLINE MWATHA sent to her lover, GITAU, behind her husband’s back before her death - She was loose! 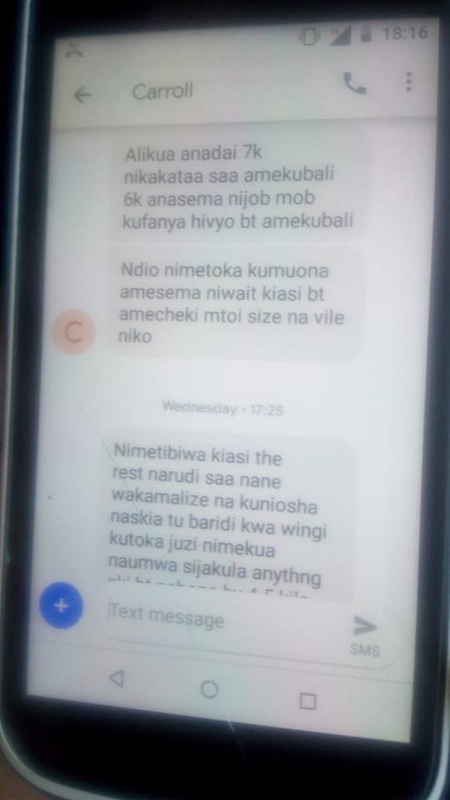 SHOCK as police reveal romantic texts CAROLINE MWATHA sent to her lover, GITAU, behind her husband’s back before her death - She was loose! 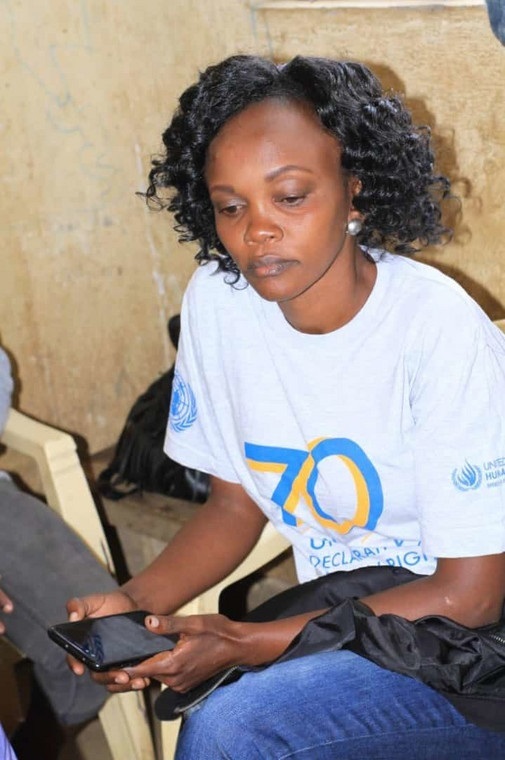 Thursday February 14, 2019 - Detectives have shed more light on slain activist Caroline Mwatha's case, disclosing the last text messages to her alleged lover, Alexander Gitau, before her disappearance and eventual death. 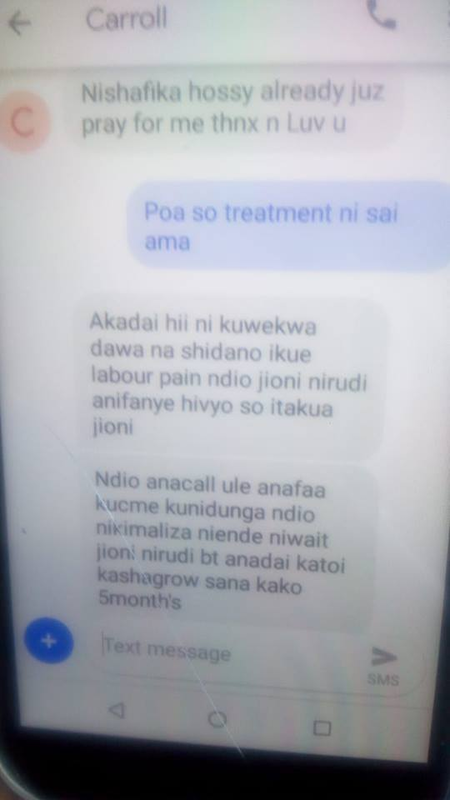 Mwatha texted her boyfriend before and after reportedly procuring an abortion from a backstreet clinic that led to her untimely death. On Tuesday night, Mwatha texted Gitau confirming that she would head to the centre on Wednesday morning. 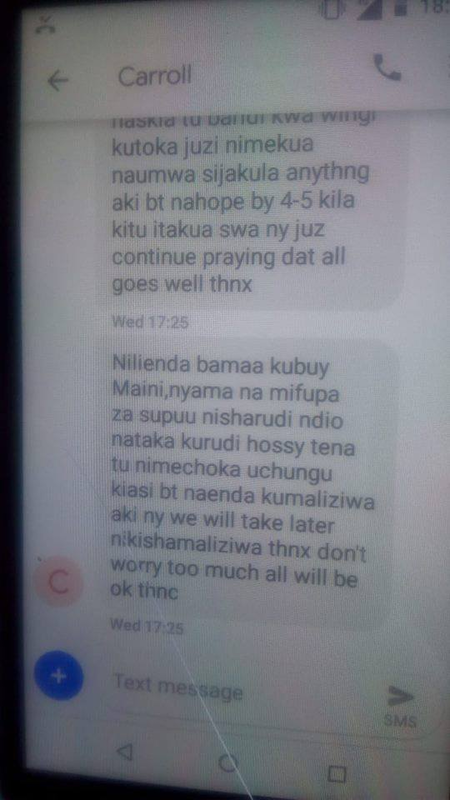 “Niko poa no worries but kesho lazima nirauke hossy aki usiku ndio nalemewambaya plus homa bt all will be ok ave a lovely day ahead n tkecare bbie, Miss uuu(sic),” her text read. In the texts, Mwatha also revealed that she was five months pregnant and the doctors at the Centre had agreed to abort the baby. On Wednesday, a day before she went missing, Mwatha confirmed that she had been 'treated' but she was scheduled to return later to flush out the remaining bits. "Naskia tu baridi kwa wingi kutoka juzinimekuwa naumwa sijakula anything but nahope by 4-5 kila kitu itakuwa sawa. Anyway just continue praying that all goes well,” she said. "NiliendaBamaa kubuy Maini, nyama na mifupa za supuunisharudi ndio nataka kurudi hossy tena tu nimechoka uchungu kiasi bt naendakumaliziwa akin y we will take later nikishamaiziwa thnx don’t worry too much all will be ok thnc (sic),” she added. Mwatha did all these behind her husband’s back who was busy doing business in Dubai. Things done in darkness are now in light.GOD JUDGEMENT DAY HAS COME. Waititu was lying that he is a DAUGHTER OF 4 FATHERS!!!!!!!!!!!!!!!!! !